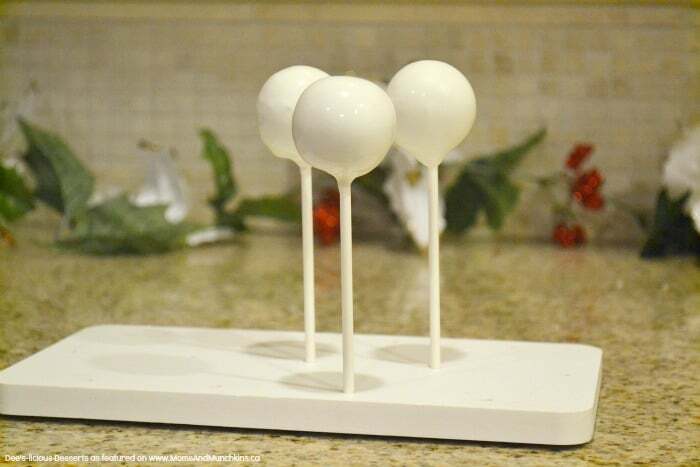 This snowman cake pops tutorial is courtesy of our contributor Deanna…December is so magical. I love the giving spirit it puts everyone in, and the lifelong lessons it teaches my son. We always give back to our community and pay it forward all December long. One of my favorite ways to pay it forward is to surprise my friends, coworkers, and neighbors with cute treats. 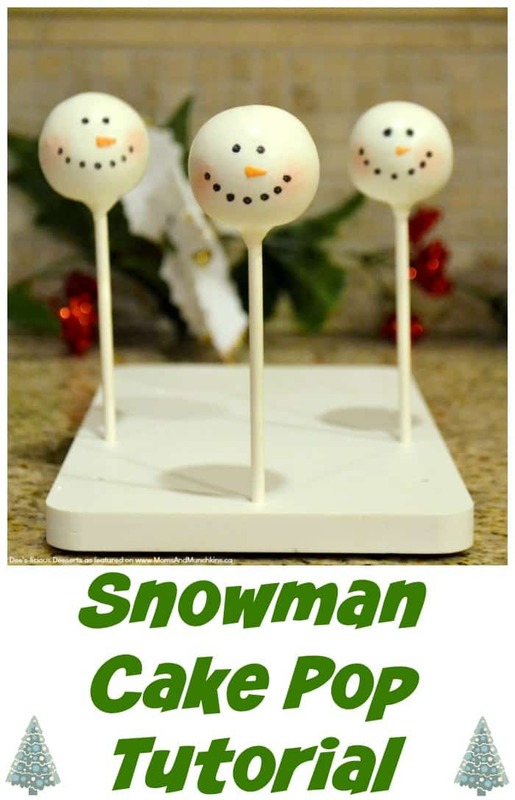 So today I will show you how I put together this super easy and oh so adorable snowman cake pop. 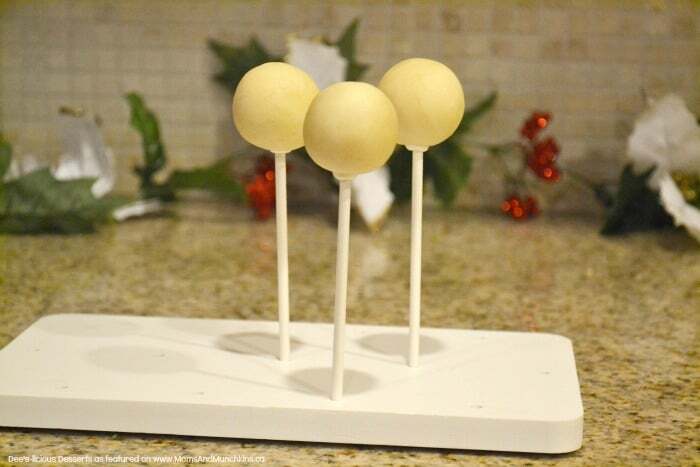 First we need to dip those cake pops into the melted white chocolate, tap off excess, and let harden. Next, take your pearl dust and add a small amount into the lid. 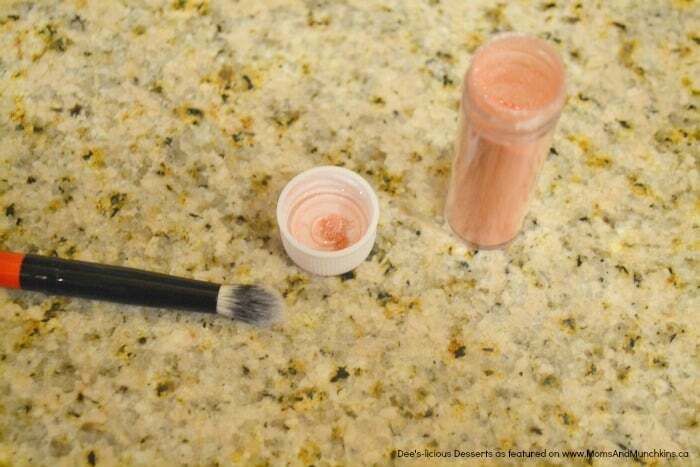 Take your brush and press it into the lid, then tap off excess dust. 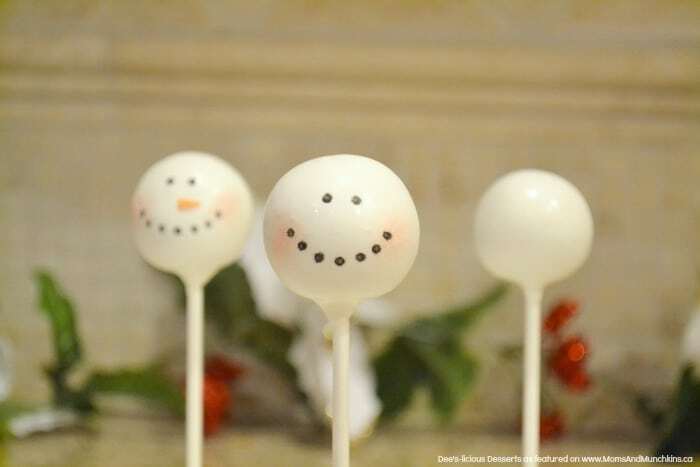 Give your soon-to-be snowman some rosy cheeks. 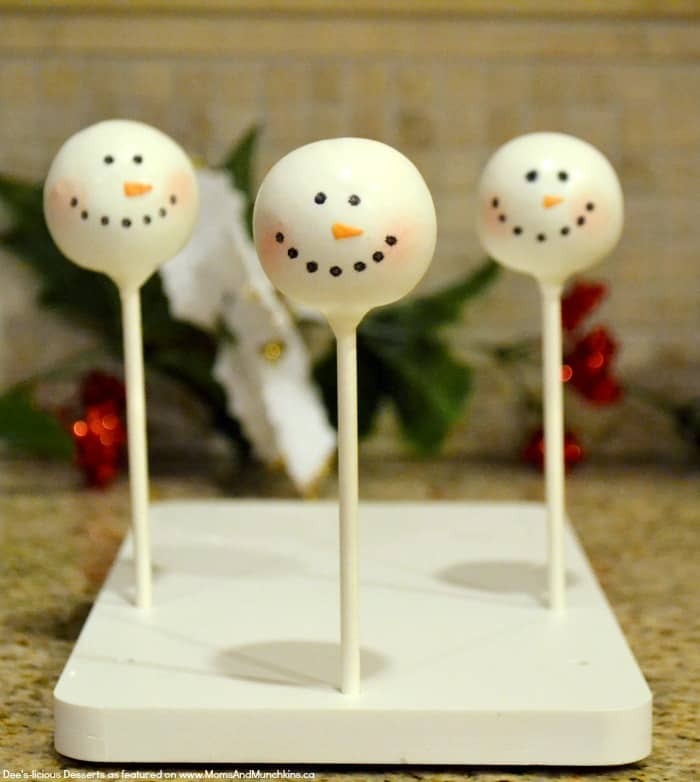 Now you’ll want to take your edible marker and gently tap on your snowman’s smile and eyes. I always start at the middle of the smile (line it up with the stick so you know you are centered) and build the smile up dot by dot. 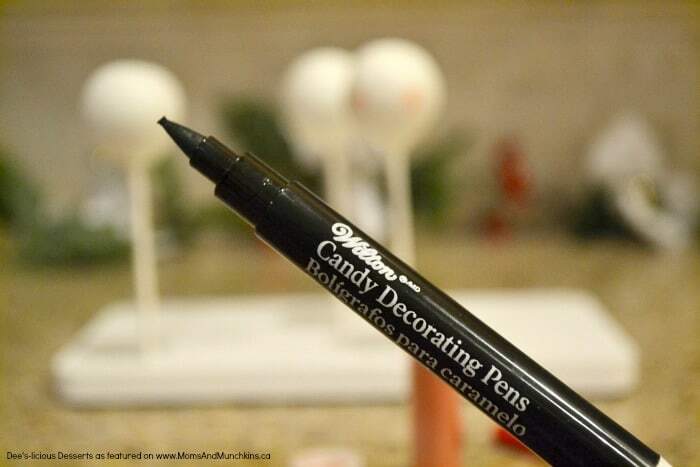 Last, take a tiny bit of orange chocolate on your toothpick and draw on a carrot nose. Sometimes I make the nose HUGE and some times I make it small. It really does add personality to the snowman. Now you can pick up cello wrappers, cute christmas ribbon and hand them all out or use them as stocking stuffers! I hope you all have a wonderful holiday! See you next year. 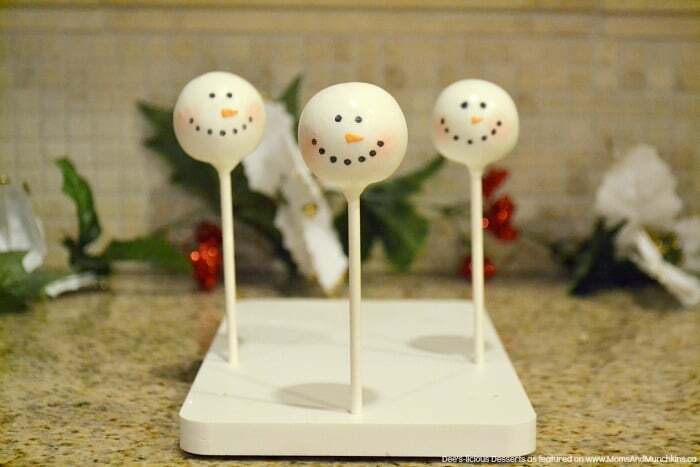 We’d like to send a big THANK YOU to Deanna for sharing this adorable Snowman Cake Pops tutorial with us. 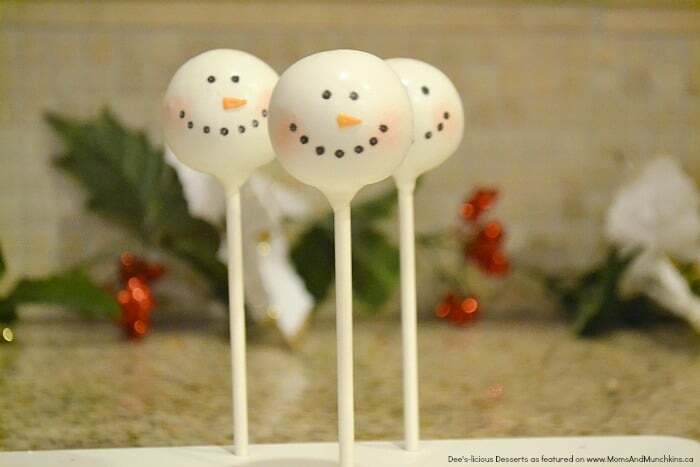 For more cute & delicious creations, follow Deanna’s Facebook page Dee’s-licious Desserts. 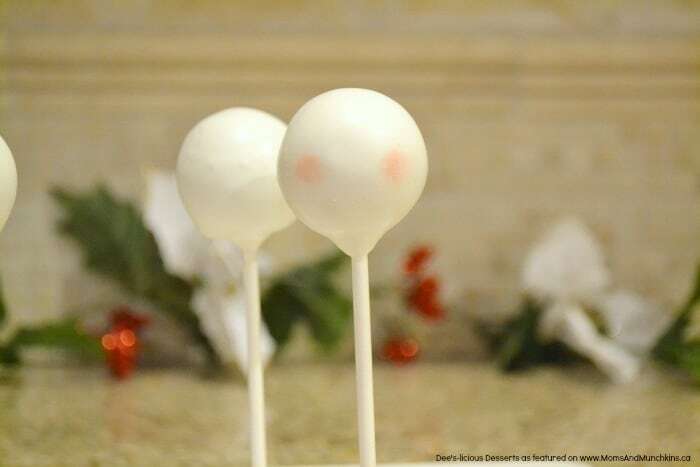 You can check out all of Deanna’s delicious cake pop tutorials on Moms & Munchkins here.